I had to drive around a little while after tonight's dinner: there was a lot to process through. This has been the hottest day in Milwaukee so far, with temps maxing out at 85°, and that always brings out the crazy in all of us. Look no further than the antics down on Lincoln Memorial Drive today. We're cooped up all winter, survive spring in spurts of warmth and cold, and all of a sudden, the heat hits, and we're all exploding like Jiffy-Pop. It is in these odd, immediate moments of change that I kind of find myself a little lost, and one of my favorite past times is to look at my beloved city as if I were a visitor... what would Milwaukee look like if I weren't a native? So, tonight, I drove. With my delicious Thai dinner settling, I went down Howard to the Lake, meandering under big old Maples and Oaks, through Milwaukee, through Bay View, through St. Francis. I looked out over the lake and watched the planes lined up like a short string of Christmas lights, smelled woodsmoke from backyard fires, and as I headed South on S. Lake Drive, I smelled coal from factories, bacon from Cudahy, laundry soap, wet grass, and lake water. I was a foreigner. It was beautiful. I have an obsession with feeling all at sea, it takes me out of my routine, things are exciting, different, so distant from the grind that we all face every day. In my work, I've become almost burnt out with tragedy, and when tragedy becomes routine, you need to find an escape. 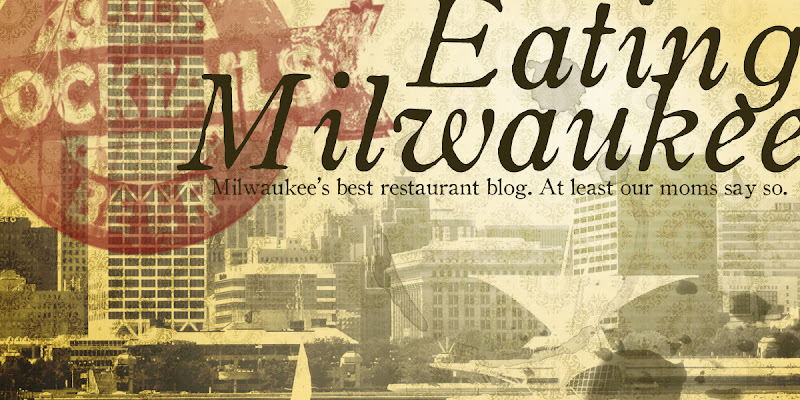 I think that's why we started Eating Milwaukee; it's a way to be that famed "Tourist in Your Own Town." We can go to a restaurant we've never been to, or maybe one we've been to over and over again (ahem, Tandoor), and live outside of our lives for a little while. It's like taking a vacation for a few hours. Food is such a glorious reminder of culture, such an intimate way of sharing, that you can't help but love the effect a good meal can have on a bad day. Or, for that matter, how an amazing meal can elevate an already great day. So, tonight, we went to Bangkok House. 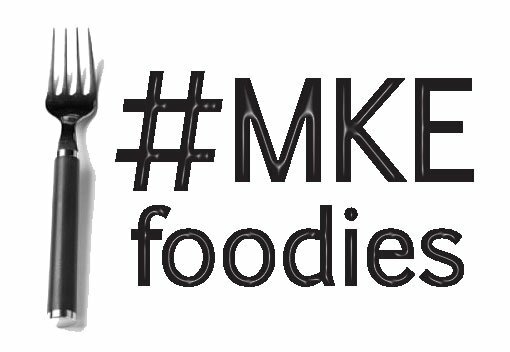 Located in a strip mall (Hmm... Asian cuisine, strip mall, awesomeness... anyone see a trend?) at the corner of E. Layton Ave. and So. Whitnall, Bangkok House is, to say the least, unassuming. In fact, if you didn't see the very plain channel lettering above the front entrance, you would probably never even know it's there. Which of course would make you very, very foolish indeed. Because you would be missing out on a certain gem of a meal. One thing you'll notice right away about Bangkok House is the décor. It is lush, clean, and elegant. Chandeliers hang from the drop ceiling, and busy floral drapes adorn the windows. This is NOT your average Thai joint. Even the bathrooms are well appointed and immaculate. which I highly recommend, and what's even more is that everything on the buffet, as far as I can tell, is offered on the regular dinner menu. This way, you have the opportunity to try a vast number of dishes, and be armed with your favorites and impress the hell out of your friends when you go for dinner next. Our bubbly, talkative waitress seated us, and immediately took our cloth napkins out of our water glasses and filled 'em up. This, of course, was foreshadowing of the heat to come. The menu at Bangkok House is extensive, and perhaps the most exciting part of it is that there are NO repeats. No cop outs, no "Chicken" section with the same dishes as the "Beef" and "Seafood" sections. Every page is filled with unique, individual selections, and most are available with your choice of chicken, beef, or pork. Having already established the supremacy of Chicken Satay, we ordered some for an appetizer, as well as an order of Thai Beef Jerky, which we had become familiar with on our outing to the delightful Mekong Café. You may notice something here: as often as we've ordered Chicken Satay, we've never had one with the grill included! Part dinner theatre, part do-it-yourself-cooking, the point is that the chicken is fully cooked and ready to eat, but you get to put the finishing touches on it at your table, letting it char, sizzle, and smoke while all the tables around you get insanely jealous. Does it make the chicken taste any better? Sure, it adds some flavor. But it is fantastic drama, making the food interactive. It's like flambé, except far less lame. The beef jerky was sublime. Crispy on the outside, amazingly tender on the inside, perfectly marinated and spiced. And the sauce! Lots of Sriracha mixed in made it hot, but never overwhelming. I could have made a meal of it. I was finally able to dig in. The chicken was so, so tender. You'd think being essentially twice-cooked would make it tough, but it was divine. The marinade, consisting of curry spices and coconut milk, was strong and to the core of the meat. The flavor was truly new to me, and I loved every tender, chickeny moment of it. The sauces were equally wonderful, with the lighter, sweeter one being a nice harmony, while the thick, rich peanut sauce elbowing its way through to the top of the flavor profile. It was actually a lot of fun to switch off between the two, from soothing, easy-listening to raging death metal and back again. Which is one reason why I love Thai food so much: it's all about the contrast. So much is delicate coconut versus strong basil, or lilting lime butting heads with brassy curry. Soft, comforting noodles and crunchy peanuts and fish sauce. In one dish, there can be all of these flavors, all bouncing around like the balls in a lotto machine, and still, it all just works beautifully. Andy's soup was a scorcher. But big, bright citrus flavors of lime juice and lemongrass, and a nice, initial flame-out in the back of your throat. It was the general consensus that, when we came back for the lunch buffet, we would eat nothing but the soup (since, luckily for us, it's featured daily!). Creamy coconut, fresh, herby cilantro, scallion, lime... soothing and still slightly spiced. Do not... and I repeat... DO NOT MISS THIS SOUP. All of our dinners, except for Sonja's (which already had noodles), were served with Thai Jasmine rice. Andy's chicken with lime leaves and string beans was hot at spice level three, but not unbearable. Crazy flavors, salty, sweet, and hot, with each hunk of chicken coated in a sort of sauce-paste, and the whole conglomeration bathed in chili oil. Amazing. Lauren's beef with baby corn was equally delightful. The sauce spicing was more staid at one-and-a-half (or, One Plus, or Two Minus, on Andy's spicing scale), but had that rich dark oyster flavor. Sonja's Pud Thai was a perfect execution, with the noodles taking all of the saltiness of the fish sauce, combined with the acidity of lime, and softness of egg, and the crunch of peanuts and dried shrimp. My curry was delightful. Spiced perfectly and one-and-a-half, with tender chunks of chicken and potato, slices of onion and carrot, and a thick, creamy coconut gravy. The flavor profile wasn't new to me (similar to Macanese Portuguese Sauce, which I don't have a good link for, or even Japanese Golden Curry), but I do love the coconut milk, and the potatoes and carrots make it hearty and homey. Easily one of the best Thai food experiences I've had, I can't say enough about the quality of our meal. Everything had a sense of care and craft to it, and I have absolutely no qualms about talking Bangkok House up to both Thai food fanatics and newbies alike. Our server was helpful and fast, funny and accommodating, and our food was spot on. It was the perfect Out-Of-Milwaukee experience: we could have easily been in Los Angeles, or Seattle, or New York, or D.C., and nothing would have been amiss. This is why I love dining out. And this is why we keep eating, and keep writing... finding retreats from reality like Bangkok House makes Mondays (and Tuesdays, and Wednesdays, and Thursdays, and Fridays, and every other weekend) just that much more bearable. Sometimes, I almost wonder how the country-club interior and fabulous authentic food came together to form this one restaurant, but I certainly can't argue with success. Clean, well lit, and just a little odd, but a refreshing change of pace from some other Disneyland Asian restaurants we've been to. Entrées will run you between $9 and $19, depending on your tastes. This alone is reasonable. Our soups were about $2.50, but our appetizers were a little on the pricey side, about $8 each. But, you get to grill at your table, so I guess it all evens out in the end. Can you put a price on pyromania? Fast, helpful, friendly. What else can you ask for? Besides a floor show? We all agreed: spectacular. Each and every dish is unique and interesting, you'll be looking forward to coming back long before your food even arrives, because there were ten different items on the menu you want to try. Absolutely delicious. Awesome website with full menu (with up-to-date prices!) available here. I LOVE THIS PLACE!!!!! Their food is awesome!